Shades of 1930 in Wall Street Banks’ Dark Pools? On June 2 of this year, the Financial Industry Regulatory Authority (FINRA), a self-regulator of Wall Street’s broker-dealers, dropped a bombshell. For the first time, FINRA released trading data for Wall Street’s dark pools – unregistered stock exchanges that the SEC recklessly allows to trade stocks without making the bids and offers public, along with many other details. The bombshell, that mainstream business media has yet to comprehend, was that the same mega Wall Street banks whose share prices crashed in the 2008 financial crisis are today not only running dark pools for stock trading but they’re trading the stock of their own corporate parents – to the tune of tens of millions of shares a week. 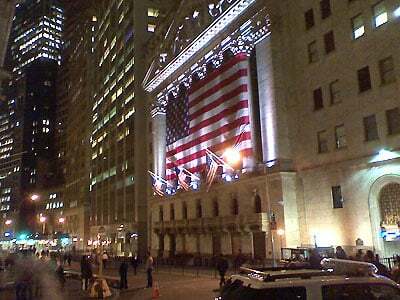 Those Wall Street banks include JPMorgan Chase, Bank of America Merrill Lynch and Citigroup. What could possibly go wrong in this arrangement? Two days after Franklin D. Roosevelt was sworn in as President on March 4, 1933, he declared a nationwide banking holiday lasting to March 13 to stem a mushrooming banking panic and bank runs. The spark that ignited the accelerating panic was the collapse of the Bank of United States in 1930. At the time of its collapse, it was the fourth largest depositor bank in New York City, holding an astounding $268 million for over 400,000 small time depositors. It was the largest banking collapse in the nation’s history at that point. The name of the bank, incorrectly suggesting it had U.S. government ties, fueled press coverage of the collapse and started other bank runs around the country.